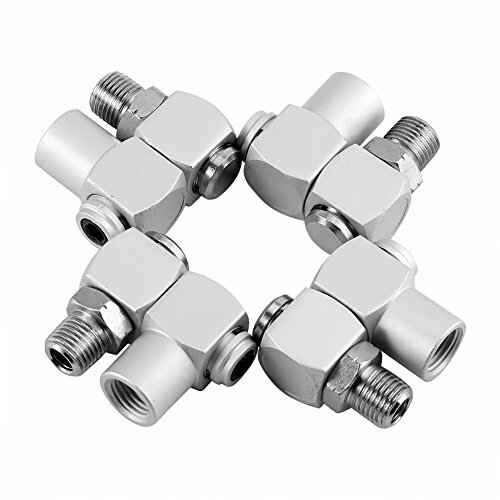 Fit for Hose Diameter: 1/4"
1/4" basic body size air hose swivel connector, use with air applications only. Made of aluminum with high quality, durable for long time use. The air hose adapter features one male and one female pipe thread opening. 360 degree swivel at 2 locations keeps hose from kinking. It's easy to install and can efficiently improve the flexibility between hose and air tool.